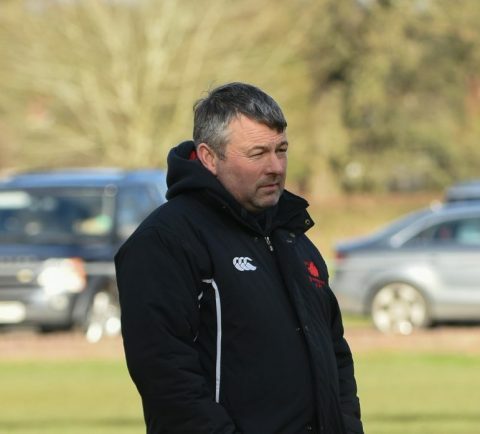 DIRECTOR of rugby Dan Protherough is confident Bromsgrove have what it takes to secure promotion from Midlands One West this season. The Boars get the new campaign underway on Saturday against local rivals Worcester at Finstall Park, with the game also serving as a first round North Midlands Cup encounter. Having endured a difficult season in National Three South West last term, which saw Protherough’s side finish bottom of the table with just three wins to their name, the Bromsgrove chief is feeling more upbeat this time around following positive pre-season results. After a 31-12 victory at Stratford, Bromsgrove ran out comfortable 42-0 winners over National Three Midlands outfit Lichfield last Thursday. “The long term aim is to get promotion but after last season the more immediate priority is to create a winning mentality,” Protherough said. “Pre-season has been really good and the lads have been working hard all summer so we are looking forward to the first competitive game this weekend. “Worcester are a fast, competitive and good young side so it’s going to be a tough game for us. Throughout the summer the Boars have been recruiting well to bolster their ranks as well as keeping all of last season’s squad. Full back Chris Hooper and James Martin have signed from Old Halesonians while Protherough has also brought in former Worcester Warriors back row player Jake Abbott as coach. Hooper will also be the new kicker for the Boars as Jon Critchlow retired and took up a coaching role at Pershore. “What we wanted to do was bring in lads who will add some experience to the youngsters we brought through last season,” said Protherough. “Having Jake in from Warriors is a huge boost and his presence in the dressing room has made a real impact. “His leadership will be important as we look to get off to a good start. “If you want to get promoted you have to get off to a good start in the opening month. Lewis Arnold, who broke his collarbone in the friendly at Stratford, is missing for Saturday’s clash but Protherough is expecting Guy Field and Tom Hardwick to make a return after shaking off slight knocks.